Detroit has been associated with the automotive industry for over 100 years. Ford, General Motors, Chrysler, Packard, Cadillac, Dodge and Studebaker are some of the car company names that dominated American, and other, roads for decades. Henry Ford rolled off the first mass production Model T cars from his factory at Piquette Street and Woodward Avenue in 1908. By the time the Tin Lizzie ceased production in 1928 it had become the world’s most popular car. Jump to the 1960s and muscle cars used to be raced against one another here. And since 1995 there has been the Woodward Dream Cruise, one day in August that attracts around 40,000 vintage vehicles from the 1950s, 60s and 70s and a huge crowd of visitors to a route that extends from Pontiac, Michigan back south to the city limits at 8 Mile Road. 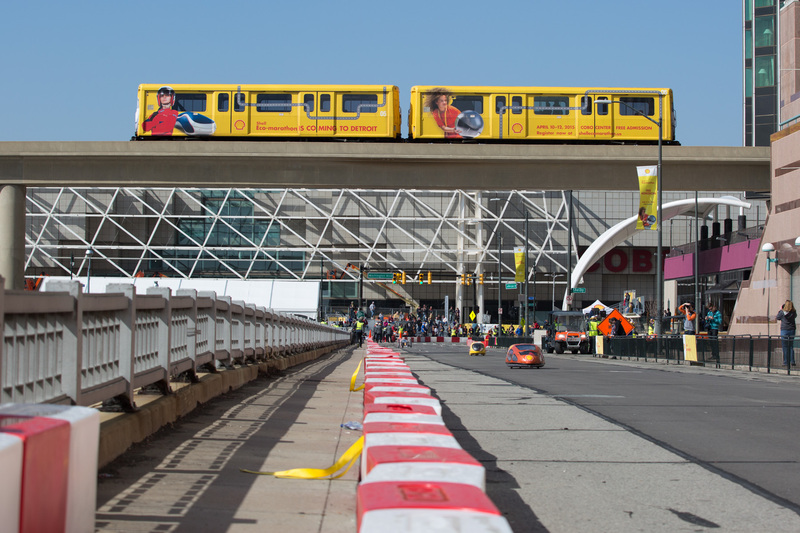 A new chapter in mobility was opened this weekend when the Shell Eco-marathon came to Motor City. The 30 year old event drew 113 vehicles and over 1,000 high school and university students from Brazil, Canada, Guatemala, Mexico and the United States. But these were no muscle cars built for speed, rather, machines designed, built and run to be as fuel or energy efficient as possible: wildly creative and slick Prototype machines; and Urban Concept cars possessing lights and wipers and enough room for a passenger. Both types demanded decent steering and solid braking mechanisms before they were approved to set off on a route from the Cobo Center, around Jefferson, Woodward and Griswold Avenues. 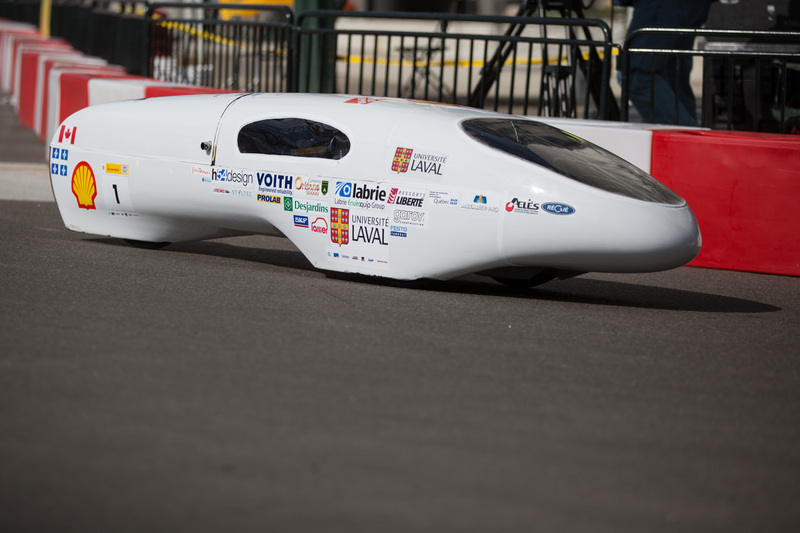 Two Canadian teams tussled for tops in the Prototype Gasoline category. This year it was the University of Toronto Supermileage Team 2 that came in first ahead of Universite Laval’s Al Erion team with a spectacular 1,454 km/l (3,421 mpg). In the Prototype diesel competition, Sullivan High School (USA) edged ahead of teams from Wawasee and Aiden-Conger High Schools by controlling the consumption of their aptly named No Spark Plug Allowed down to 611 km/l (1,436 mpg). Mater Dei High School’s Supermileage team squeezed 206 km/l (485 mpg) out of their car to win the UrbanConcept Gasoline prize; Aiden-Conger High School, in another of their teams, Knights 3, took first in the Urban Concept diesel category with 216 km/l (507 mpg). 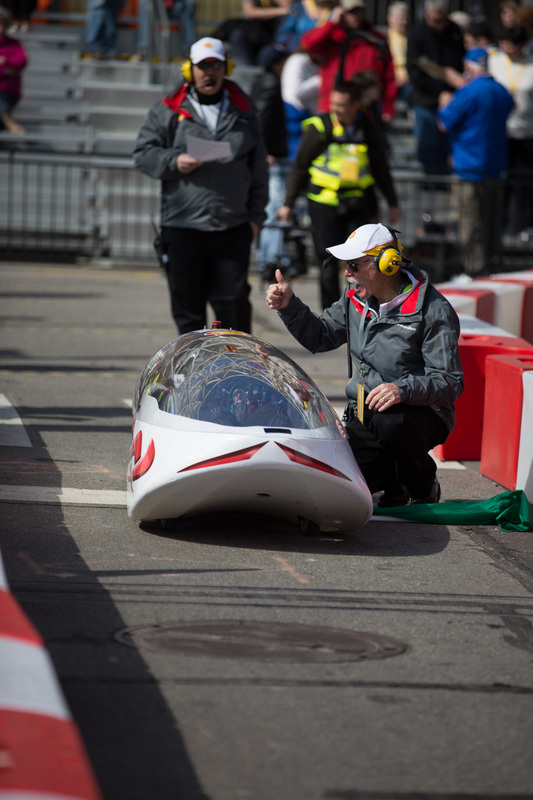 For more on these and other results in the Battery Electric, Alternative Fuel, Compressed Natural Gas (CNG), and Hydrogen categories check out the Shell Eco-marathon Americas web site.